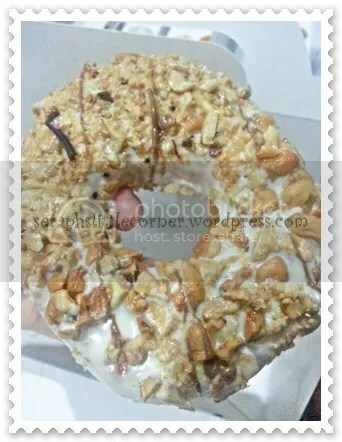 For the past 3 weeks, I have been craving for Big Apple Donuts…. Their donuts are so soft and delicious…. But being the lazy me, I just let my cravings continue rather than drive 20 minutes to Giant Hypermarket to buy them…. My dear senior (shall keep it anonymous to maintain her privacy) who has graduated happened to come back here for some matters…. 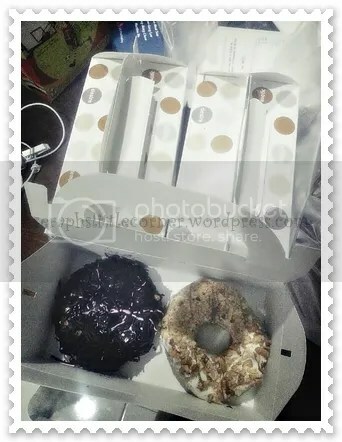 And to my surprise and delight, she bought some Big Apple Donuts for a few of us! Just see how wonderful He is, that even though I never requested for my cravings to be fulfilled, He provides it, at the right time! 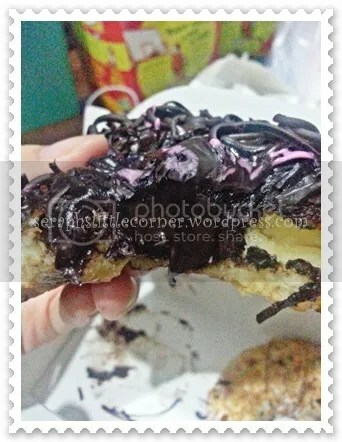 A close up on the donuts…. 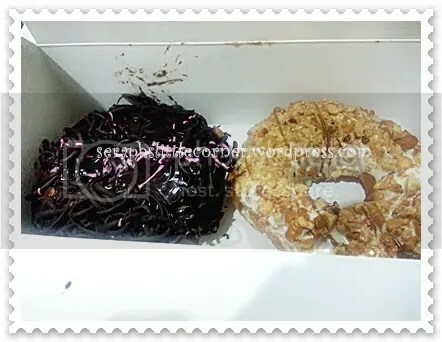 Big Apple has like the yummiest, fluffiest and soft donuts!! Look at the chocolate cream centre! I am so grateful and thankful to you!! And praise be to Him the Almighty!! I just realise that as days go by, my posts seem to be heading to a more positive direction…. One of the things our good Father is teaching me from this experience…. I can’t exactly recall when, but it was after hearing a sermon at church when I decided that if I was to be more happy, I should learn to see things with a silver lining…. I have heard of this verse many times, but never really put to heart all my growing years until that time…. So from then onwards, whenever anything bad happened to me, I always told myself that greater things will come in His plan and time…. As with all human reaction, I would still get angry, hurt, and I would question Him “why let this happen to me?” But no matter how long I took to convince myself, I would still try…. And boy! Many times better things do happen because of what seemed to be a bad thing initially happened…. Although I won’t deny that there are some things which happened that up till now, I still don’t understand and don’t see the good in it…. But my daddy, mommy and many other people have told me that God allow some things to happen for His reason and His purpose which ordinary people like you and me will not understand…. Initially when this happened, my first reaction was “Why me?! Why this happened to me?! I can’t go through this all over again… I’m just too tired…. I want to give up…” Everyone told me not to give up…. I have gone through 4 years, this is just an extra obstacle which is less than 6 weeks…. Mind you, I am a very egoistic person since young, I never liked the feeling of losing or being embarrassed…. I always hated myself whenever I fall…. I cried, every hour I cried and stop and cried and the cycle just went on for days…. I told myself, maybe a miracle would happen, maybe someone will call and say that there is a mistake and I was free to go…. But no mistake happened, nuh-uh, none of those life-changing miracle happened…. Soon, I told myself to accept this as part of my life history and slowly I convinced myself to see the silver lining in this experience…. It took quite a long time, but everyday I continued to convince myself…. And our great heavenly Father not only teaches you great lessons, or put obstacles in front of your path to let you learn how to rely on Him, but He also listens to your heart’s desires and He gives it to you when the time is right…. The most recent example? 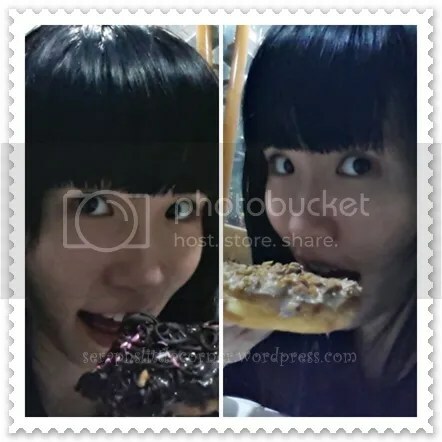 my donuts! !